From the late 1950s to the early 1970s a novel experimental paradigm was employed to use hallucinogenic drugs to address the existential anxiety, depression and demoralisation often experienced by individuals suffering from terminal cancer. In spite of highly promising results reported by pioneer researchers (Cohen, 1965; Fisher, 1970; Grof et al., 1973; Kast, 1962; Pahnke, 1969), by the early 1970s all investigations were compelled to close due to the cultural and political pressures of that time. No further exploration of the utility of a hallucinogen treatment model was permitted until the early 21st century. Investigations from years ago demonstrated that when the administration of a hallucinogen to patients suffering from advanced cancer was conducted under optimal, controlled conditions, marked improvements occurred to anxiety and mood regulation, as well as to overall capacity to find meaning in their lives and connection to others in their limited remaining time. A particularly remarkable finding was that the strongest predictor for positive clinical outcomes was in those patients who, during the course of what was often their only hallucinogen treatment session, experienced a powerful psycho-spiritual epiphany. In the days, weeks and months following their experience, these patients reported increased acceptance and less fear of impending death, improved relationships with significant others, less psychological distress and even reduced pain and lessened need for narcotic pain medication. Following the renewal of hallucinogen research, one of the more active investigation sites has been at Johns Hopkins, where a series of important studies have been conducted. These have established that when optimal conditions are utilised for hallucinogen administration in normal volunteer subjects, mystical states of consciousness may be reliably induced (Griffiths et al, 2006). This is of particular significance to the case of treating advanced-cancer patients undergoing reactive existential angst and demoralisation. The evidence from the prior generation of hallucinogen research would then suggest that reliably inducing mysticomimetic states of consciousness may be a powerful positive predictor of therapeutic outcomes in this psychologically vulnerable and demoralised patient population. Over the past decade three contemporary studies designed to investigate this long-neglected treatment paradigm have been conducted, at Harbor-UCLA Medical Center/Los Angeles BioMedical Research Institute, Johns Hopkins School of Medicine and NYU School of Medicine (Griffiths & Grob, 2010; Grob et al., 2011; Grob et al., 2013). While the Johns Hopkins and NYU projects are still ongoing, the Harbor-UCLA/Los Angeles BioMedical Research Institute study has been completed, with results published in the Archives of General Psychiatry in January, 2011. In this first investigation of the hallucinogen treatment model in cancer anxiety in almost half a century, 12 patients with advanced, metastatic cancer and co-morbid anxiety were recruited and treated with a moderate dose of 0.2 mg/kg of psilocybin and using a double-blind, placebo-controlled model, with the patient acting as his or her own control. Besides establishing the safety and feasibility of administering moderate doses of psilocybin under controlled conditions to patients suffering from advanced-cancer anxiety, with safe physiological and psychological responses documented during treatment sessions and no clinically significant adverse events, measures of psychological function revealed clinically significant reductions of anxiety and trends toward improved mood, even many months after one hallucinogen treatment session. While the field of oncology has progressed in recent decades, providing more effective cancer treatments and extending life spans, the existential condition of patients approaching the end of life often remains unaddressed. The hallucinogen treatment model, first explored half a century ago by an earlier generation of investigators, provides a potentially valuable therapeutic model. Whereas the cultural and political conditions of the past denied the opportunity for hallucinogen research to evolve at that time, we now live in a world where safe and rigorous research investigations are once again permitted. Learning from the lessons of the past will hopefully allow us to keep this nascent field extant, and in the process provide a novel and effective treatment intervention for the existential anxiety and demoralisation often observed in patients suffering from advanced cancer. Illness and dying are inherently hard, but suffering is not inevitable. The evolution of palliative medicine and expansion of hospice and palliative care services have made effective, evidence-based treatments available to increasing numbers of people with advanced diseases. When pain, shortness of breath and other bodily discomforts cannot be relieved, therapeutic goals often require balancing the alleviation of distress with preservation of the person’s ability to think clearly, function and interact with others. When physical suffering persists, palliative medicine practitioners can employ carefully developed, well-studied guidelines that extend to palliative sedation, which reliably enables people to be comfortable as they die of their underlying condition. Of course, not all suffering associated with serious illness is physical. People living with progressive, incurable illness and disease-related disabilities may experience anxiety, depression, and demoralisation (Kissane et al., 2001). Spiritual or existential suffering may be rooted in a sense of meaningless or purposelessness, feeling a burden to family and society, a crushing sense of dread, or impending disintegration. Drug treatments for such syndromes are imperfect at best. Medications for depression may take weeks to become effective and are often ineffective, anxiolytics carry side-effects of mental slowing and confusion, particularly in patients with advanced physical illness who are at high for falls and polypharmacy. Standard cognitive behavioural therapy (CBT) relies on counselling approaches of listening, normalising, acknowledging, affirming, problem solving, and reframing. Newer, semi-structured, evidence-based approaches developed specifically for people living with incurable conditions, such as dignity therapy and the Outlook intervention, can improve subjective quality of life and show promise in preventing and treating emotional, social and existential distress (e.g. Chochinov, 2007; Kissane, 2012; Steinhauser et al., 2009).When non-physical suffering persists despite these approaches, evidence-based guidelines are limited. The need for expanded therapeutic options is great – from both clinical and ethical perspectives. Palliative sedation for non-physical suffering remains highly controversial. Non-physical sources of suffering, including persistent existential suffering, are cited as the reasons that sick people in Oregon choose to end their lives (tinyurl.com/nlzsfm3). From 1998 through 2013 a total of 673 people died by ingesting lethal medications under Oregon’s physician-assisted suicide law. Information reported to the state by physicians who wrote those lethal prescriptions document that pain or fear of future uncontrolled pain contributed in only 23.5 per cent of cases, while non-physical sources of suffering were common, including loss of autonomy (91.2 per cent), less ability to enjoy life (88.8 per cent), and loss of dignity (82.0 per cent). Recent studies (e.g. Griffiths & Grob, 2010; Grob et al., 2011). build upon research from the 1950s and 1960s into pharmaco-assisted psychotherapy with patients with advanced illness. Although the use of LSD and other hallucinogenic agents as adjuncts to counselling had shown great promise in alleviating distress among dying people, the research was abruptly halted after the medications were reclassified as drugs of abuse with no therapeutic use. Inexplicably, few references to these published studies can be found in the palliative medicine literature. The recent studies affirm that therapy with psilocybin is well tolerated and for some patients remarkably effective. It entails just one or two sessions and correspondingly low cost. Psilocybin has no known tissue toxicity. The reported incidences of adverse reactions, such as severe disorientation, anxiety and panic, are very low; and such side-effects can be managed using familiar doses of anxiolytics and neuroleptics. The experiences patients describe are not intoxication, but rather a sense of clarity, expanded context and a reframing of their worldview and sense of the future that persists long after any pharmacologic effect of the drugs. Importantly, multiple participants report not mere alleviated anxiety or depression, but also an enduring sense of well-being. Some expressed feeling at peace, grateful for their lives, forgiving toward others and toward themselves, being less fearful and more confident about the future, while knowing that it includes their physical death. Palliative medicine and psychiatry must not allow politics or puritanism to prevent us from exploring these potentially important treatments for common and difficult-to-treat non-physical suffering among dying people. In 2009 I was diagnosed with mucinous colloid adenocarcinoma of the breast. I was living in New York. I underwent a lumpectomy followed by eight weeks of radiation. My health insurance ran out at the end of August and I would not be able to obtain another. So, in September of 2009, I moved to the UK with an Englishman I had only been seeing a few months, and about whom I was very ambivalent. I started on Tamoxifen through the local GP in the northwest, where I lived at first with my new partner. I stopped Tamoxifen after four months and went on Arimidex. It was a nightmare. Although I like to exercise and used to run, the condition of my joints deteriorated to such a degree, within a month of starting Arimidex, I could barely walk down the stairs. My mood plummeted. Aromatase inhibitors and I were not meant for each other. Nor were I and the English partner. While I was not coping with aromatase inhibitors, he was not coping with my illness. By mid-2010 I was trying to figure out why I thought I should survive in the first place. I left my partner in early 2011 and moved to London. I was writing an article about Robin Carhart-Harris’s fMRI studies with psilocybin, when I learned of a controlled clinical trial for cancer patients with illness-related depression and anxiety at Johns Hopkins University Behavioral Pharmacology Research Unit in Baltimore, Maryland. I travelled to Baltimore twice, once in May and once in June of 2012. When the session day arrived, I was brought into the session room, which is decorated as comfortable sitting room. Participants are encouraged to bring photos or memorabilia. I brought photos of my younger sister, who died of metastatic colon cancer in 2005, as well as pictures from my former life in the mountains of California, when I was married to my first husband – photos of my horse, my dogs, the landscape, things that meant a lot to me. The actual administration of the psilocybin capsule is done quite ritually. Roland came in to the session room to give the dose, and watched to make sure I drank the entire cup of water. Then I sat on the sofa, talking to Fred and Porche, my guides, and going through some of my photos. Fred suggested I look at a few pictures in one of the books. When I began to feel something was happening, I lay down, put on headphones and a light-blocking eye shade. The two sessions were quite different. Both had lot of visual and emotional content. The second experience was much more intense, and I had much more of a sense of being someplace else other than on quotidian Earth. Since my sessions, much has changed. Before the psilocybin experience, I simply could not concentrate. Prior to my cancer diagnosis, I read two or three books a month. But since then, my mind would wander and I’d become easily distracted. I've been plagued by obsessive thoughts throughout my life, and have mostly learned to master them. After my cancer diagnosis, I could not shake them. I’d wake up at night worrying about the future. Since the psilocybin sessions, the obsessive thoughts have ceased. I can actually think about the future constructively now. For a long time after my cancer diagnosis, ‘the future’ was confined to the next 10 minutes or so. I could not plan or imagine life beyond the next day. I’m planning to take an intensive French course in France early next year. Since last December, I’ve had fairly steady ongoing work. I made it through my four-year mammogram, and am at this point cancer free. I’m hopeful my life will continue to improve. Chochinov, H.M. (2007). 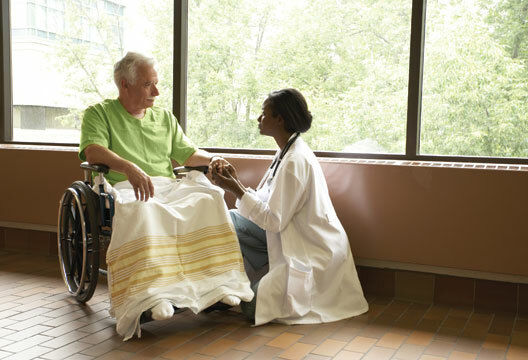 Dignity and the essence of medicine: The A, B, C, and D of dignity conserving care. British Medical Journal, 335(7612), 184–187. Cohen, S. (1965, September). LSD and the anguish of dying. Harper’s, pp.69–78. Fisher, G. (1970). Psychotherapy for the dying. Omega, 1, 3–15. Griffiths, R.R. & Grob, C.S. (2010). Hallucinogens as medicine. Scientific American, 303(6), 76–79. Griffiths, R.R., Richards, W.A., McCann, U. & Jesse, R. (2006). Psilocybin can occasion mystical experiences having substantial and sustained personal meaning and spiritual significance. Psychopharmacology (Berl), 187, 268–283. Grob, C.S., Bossis, A.P. & Griffiths, R.R. (2013). Use of the classic hallucinogen psilocybin for treatment of existential distress associated cancer. In B.I. Carr & J. Steel (Eds). Psychological aspects of cancer (pp.291–308). New York: Springer. Grob, C.S, Danforth, A.L., Chopra, G.S. et al. (2011). Pilot study of psilocybin treatment for anxiety in patients with advanced-stage cancer. Archives of General Psychiatry, 68(1), 71–78. Grof, S., Goodman, L.E., Richards, W.A. & Kurland, A.A. (1973). LSD-assisted psychotherapy in patients with terminal cancer. International Pharmacopsychiatry, 8, 129–144. Kast, E.C. (1962). The measurement of pain: A new approach to an old problem. Journal of New Drugs, 2, 344–351. Kissane, D.W. (2012). The relief of existential suffering. Archives of Internal Medicine, 172(19), 1501–1505. Kissane, D.W., Clarke, D.M. & Street, A.F. (2001). Demoralization syndrome – a relevant psychiatric diagnosis for palliative care. Journal of Palliative Care, 17(1), 12–21. Pahnke, W.N. (1969). The psychedelic mystical experience in the human encounter with death. Harvard Theological Review, 62, 1–21. Steinhauser, K.E., Alexander, S.C., Byock, I.R. et al. (2009). Seriously ill patients’ discussions of preparation and life completion. Palliative & Supportive Care, 7(4), 393–404.